Originally from sleepy small-town Pennsylvania, Dani Lamorte is a daydreamer recontextualized to appear as an artist. Its intermedia work explores dreaming-as-survival, queerness, and language. Strongly influenced by Fluxus and anti-art movements, Lamorte attempts to create performances and videos which are playful, irreverent, and colorful. 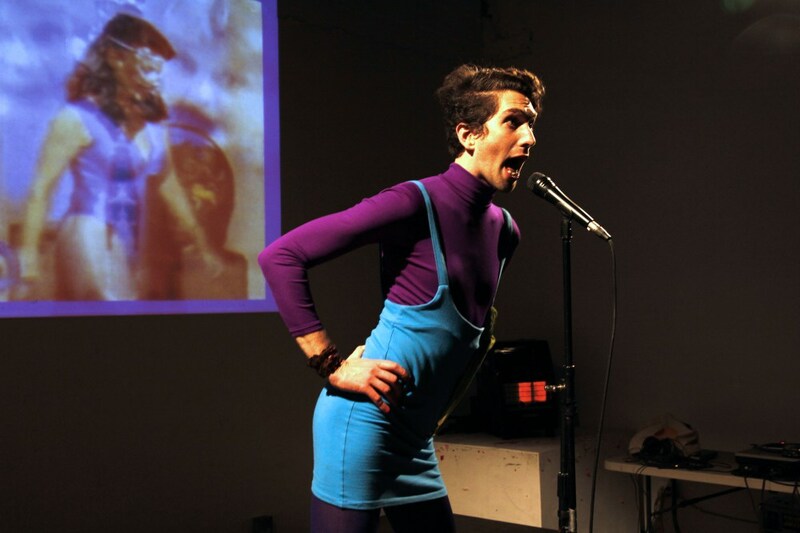 Since 2012, Lamorte has performed as alter-ego “Maria Denolt: Art critic, lecturer, lofty person.” Maria’s guerrilla tours through the Metropolitan Museum of Art, and subsequent lectures and videos, use humor, satire, and absolute nonsense to challenge the position of art, and the art museum, within American culture. When it’s not heckling art, you can usually find Dani compulsively repeating vowel sounds, like a good little linguist. Dani is featured in TQTV Special Program: Maria Denolt.